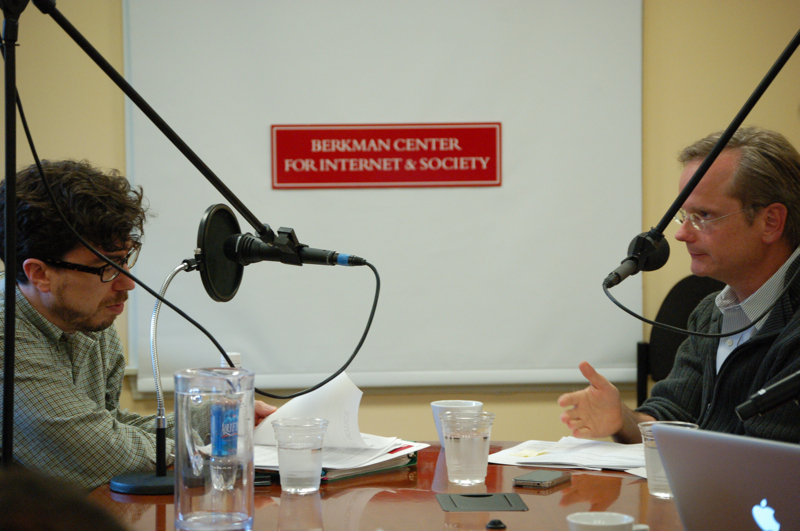 Radio Berkman 165: Jonathan & Larry TAKE ON… Net Neutrality! What started out as a high level policy debate among internet service providers and telecommunications geeks has since blossomed into an all out war, with battle lines ostensibly drawn between those who value free expression and innovation on one side, and free market advocates on another. The idea is that ISPs should not be allowed discriminate between any kind of content that comes over the wires to your home. The implication is that some regulator needs to step in to make sure this idea is enforced. But as with any contentious debate there are subtleties, complications, and hints that the discussion should be steered in a completely different direction. And few have a better acuity for the nuances of such a geeky topic than Jonathan Zittrain and Larry Lessig. Everything you wanted to know about net neutrality but were afraid to ask, in this month’s segment of Jonathan & Larry TAKE ON…! Compliments or criticisms? What topic would you like to see Jonathan and Larry take on next month? Share your ideas with us in the comments, or drop us a tweet. 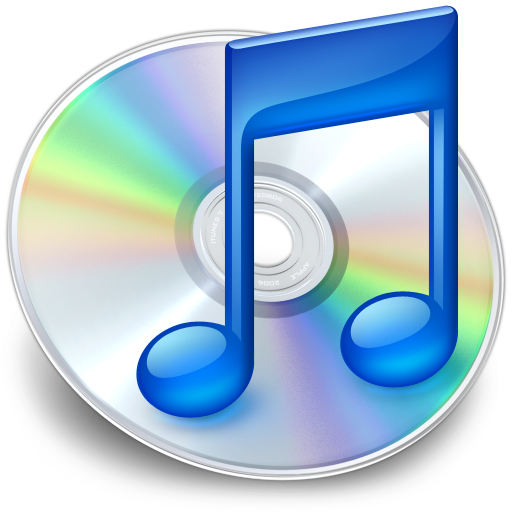 CC-licensed and Public Domain Music this week from Django Reinhardt, Learning Music Monthly, Jaspertine, General Fuzz, Morgantj, and Coconut Monkeyrocket. Produced this week by Daniel Dennis Jones and Molly Sauter, with hosts Larry Lessig and Jonathan Zittrain, and help from David Weinberger, Amar Ashar, Seth Young, Jake Shapiro, Lisa Carlivati, and Szelena Gray. Nicely done again, Dan and Molly! Ugh…. Where do I begin? It’s awful. Zittrain and Lessig start by talking about wholesale access and structural separation (which have nothing to do with “network neutrality”). They then start verging into falsehoods, claiming (perhaps hoping to arouse political sympathies?) that the Bush administration was responsible for classification of broadband as an information service when in fact the FCC Chairmen who strongly opted for this were two Clinton appointees. They then launch into a discussion of “network neutrality” without ever defining the term. They only talk in vague ways about “discrimination,” shifting their usage of this term throughout the podcast. They further claim, in passing, that a “problem” exists for “network neutrality” to solve, when they cannot actually demonstrate any. They only handwave and suggest, without presenting any evidence, that there might POSSIBLY be one. * They plainly show their conflicts of interest involving, and bias toward, Google. At one point, Zittrain says, “That would be evil. [Google is] not evil.” Oh? * Both deny the existence of broadband competition – especially wireless ISPs such as myself. Even though they’ve seen competitors such as myself physically present there! * Zittrain falsely claims that the National Broadband Plan does not consider the concept of “structural separation.” In fact it cites the Berkman report which advocates this. * Lessig cites another Google-supported lawyer – Barbara Van Schewick – uncriticially and without presenting opposing views. * Zittrain admits, “We’re not really debating here.” Which is true: the two agree. No real discussion or counterpoint. * Lessig says that the “other side” of the debate consists only of arguments for investment incentives, when there are far more arguments against oppressive regulation. In short, the entire episode was, essentially, Google propaganda – completely lacking in intellectual honesty. Really sad and far beneath what I would expect from Harvard. P.S. — Note that even the links presented for “reference” on this page are highly biased. They point to Google astroturf lobbying group “Free Press” as well as other sources which strongly favor onerous “network neutrality” regulation, but not to a single voice which opposes it. Not only no balance, but not one source which is on the other side of the issue or which actually has expertise and experience in the provision of broadband. The 42 minute mark begins the solutions or possible structures for a replacement FCC. Larry Lessig begins this portion of the program with a critique of the FCC: “The FCC was created…to protect the incumbents.” The rigidity of the bureaucracy at the FCC prevents necessary change. Therefore, it should be dismantled and a new entity should take its place in order to foster innovation and competition. 1) Decide when monopolies are appropriate (fascism or perhaps more appropriate corporatism). 2) Unilateral patent and copy-write decisions? 2a) Infrastructure guidelines to foster innovation? Lessig suggests that the new agency should have a mission or goal of “minimum intervention to maximize innovation.” When he is proposing an agency that has a mission statement that is diametrically opposed to its operational mandates, there is going to be questions about the functionality of the organization/agency. How could this new FCC be immune to political pressures? Lessig does not fully answer this question. The suggestion that the new FCC be modeled after the Federal Reserve was dismissed. The fact that the Federal Reserve is stigmatized because of its poor policy decisions, and collusion with large banks (monopoly interests) makes this argument valid. The Fed is a model for Larry’s vision because there is no alternative. An ivory tower decision making body that is statutorily outside the representative law making process is an outline of the operational guidelines of the Fed. If the FCC was truly bringing in opinions from the public and these opinions were formalized for legislation, it would meet the requirements he is seeking. An informed decision policy advisory committee which requires legislative action for statutory implementation, such as the NIST standards for federal agencies, could fit this model. However, an agency that relies on the arbitrary decisions of non-elected bureaucrats for the purpose of governing the communications of a nation is wholly totalitarian, and against the fundamental tenants of a representative democratic republic. The alternative of a dysfunctional Congress governing the decisions of the existing FCC by means of corrupt influences, is much more palatable than Lessig’s model. I haven’t read any of Lessig’s work on the subject, outside the Newsweek article and listening to this broadcast. In both instances the creation of the FCC’s replacement and it governance structure is vague. The Berkman Center’s report does an excellent job of evaluating other countries broadband policies. http://cyber.law.harvard.edu/pubrelease/broadband/ The portability of these successful models into the Constitutional legal structure of the United States is untenable. Good podcast, but Larry’s characterization of the corresponding developments in Japan was slightly off. Larry is right that the majority shareholder of the Japanese telecom infrastructure was/is GOJ, and also right in saying that this fact ultimately explains why the open access regime worked in Japan. However, the story is not quite as simple as that. The competitive mechanism that Japan initially adopted (in 1997) emphasized regional and functional market segmentation — i.e., function separation of “local” (or territorial) telecom service from “long distance” (or extra-territorial) telecom and data services, plus the partition of Japanese territory into two regional markets. In other words, the competitive plan embraced by Japan in 1997 was *not* the TCA1996 model, but rather the model embodied in the Modified Final Judgment that broke up AT&T into an IXC, or extra-territorial “long lines” operator, plus a handful of non-overlapping regional access facilities operators (i.e., the RBOCs). Unfortunately, just as in the US case, as soon as the Internet started growing rapidly it became clear that this territory-centric competition model was never going to generate enough competition at the access facility level — which was and remains the biggest chokepoint (i.e., least substitutable requirement) for Internet service delivery. For the next 3 years, despite these reforms, Internet development in Japan would continue to be encumbered by the highest Internet access fees of any developed economy. It was only in early 2000, *after* the inadequacy to the US/1984/MFJ model was fully apparent, that the Japanese government compelled the relevant GOJ ministry to mandate the unbundling of local “last-mile” access facilities, including FTTH. Within months of that development, Internet access pricing plummeted as YahooBB and numerous other service providers entered the market, passing much of the newly revealed infrastructure savings on to their end users. And because that decision to unbundle actually sticked (i.e., it was not reversed or allowed to languish by subsequent Japanese administrations), today Japanese Internet users enjoy what is almost certainly the best value Internet access in the world. Brett actually makes some interesting points this time. However, clinging to that Free Press as Google tool talking point you throw around is pretty weak. Stick with your fact points and you’ll be better off. Indeed, Brett is very reliable. Like a mid-1970s CB radio salesman who can’t bear the idea of his wares being eclipsed by a future of mobile phones and competing fixed telecom services. It’s not enough for him to assert that wireless has its place — he’s irrevocably committed to the absurd maximalist position that wireless transport always/everywhere represents a credible, commercially viable, and functionally equivalent if not superior alternative to incumbent fixed terrestrial (even optical) network services. It might be nice if it were true, but there is no theoretical reason to believe it, and no current market or past market experience that supports such a belief. AT&T probably missed a real opportunity back in the 1970s and early 1980s by failing to recognize how they might exploit the then-current CB radio fad to blunt the growing calls for an end to AT&T’s monopoly grip on US communications services. If only Ma Bell’s defenders had had just a little more imagination, they might have come up with the idea of “facilities based competition” a couple of decades earlier, and spared the rest of us all the messiness that we’ve had to endure since then (c.f., the Internet). Lucky for Brett, the current inheritors of Ma Bell’s intellectual legacy on competition-related matters are nothing if not imaginative. “Max” appears to be so eager to deprecate Ma Bell (and me along with her) in his off-topic posting that he fails to recognize the fundamental laws of physics. Fact: Fiber is nothing but wireless inside a very expensive, hard to build, hard to maintain tube. Fact: Regulations locking in old technology (frequency-based division of the airwaves) and old business models (auctioning of spectrum for exclusive use) are the only impediments to wireless, which can indeed deliver everything that fiber can. And, in fact, already IS delivering everything that fiber once did… as more and more people cut the cord and go mobile. In short, current market trends and experience demonstrate that wireless technology is not only more cost-effective but also the people’s choice. The wireless technology we’re developing and using isn’t an ancient one like analog CB. As wireless ultrabroadband speeds become sufficient to implement telepresence, it likely will soon be more like Star Trek’s Holodeck.